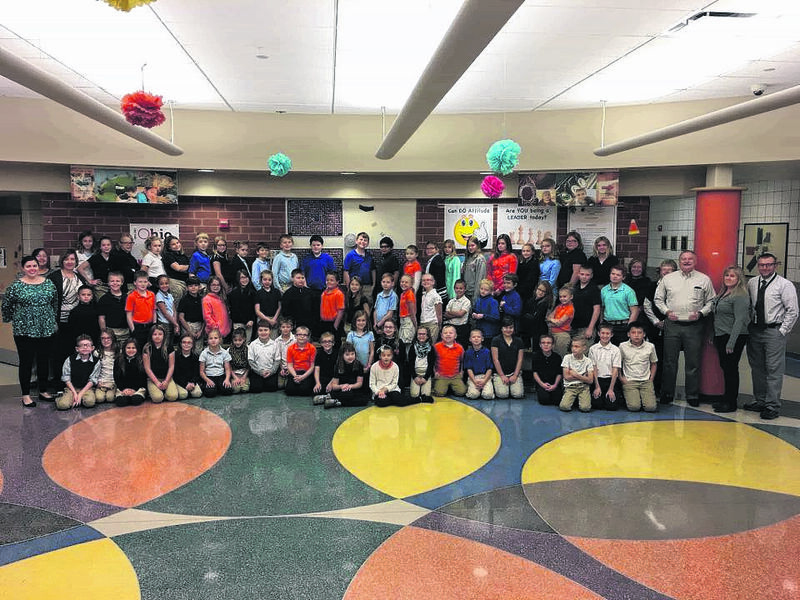 GALION — A friendly game of “Penny Wars” between classrooms at Galion Intermediate School last week yielded a larger than expected donation to the Salvation Army. A week-long competition between all of the third, fourth, and fifth grade classes brought in a total of $1,048. Each grade level competed against each other to be named the winner for their level. The rules and points scored changed every day, but pennies always brought more points than silver coins. “We had hoped to see a total of $200-$300, but once the kids got the hang of the game, the bags of change kept rolling in,” said fourth-grade teacher Neal Rinehart. 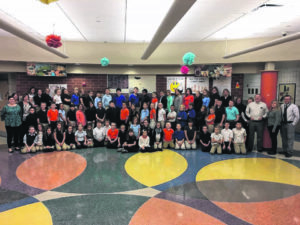 On Monday, the winning classes gathered in the lobby of the Intermediate building to present the donation to Pastor Rich Genzman from Peace Lutheran Church in Galion. Pastor Genzman will turn the check over to the nearest chapter of the Salvation Army. Winning classes were as follows: Mrs. Chandler (third grade), Mrs. Smith (fourth grade), and Mrs. Stark (fifth grade). 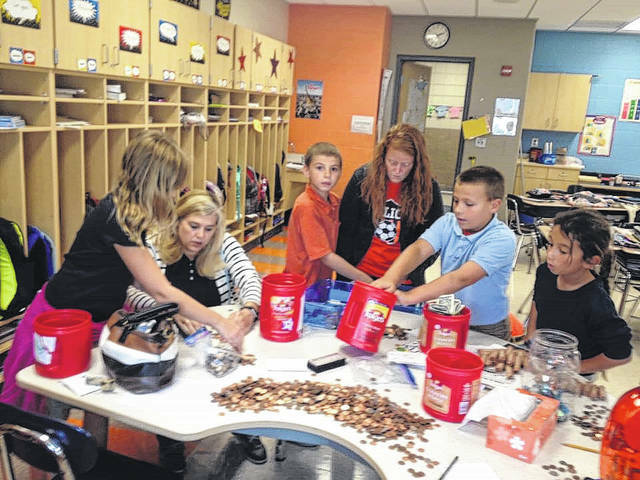 Neal Rinehart | Courtesy photo Galion fourth-grade teacher Lisa Fisher had a lot of help recently counting pennies and other coins during a recent contest at Galion Intermediate School. 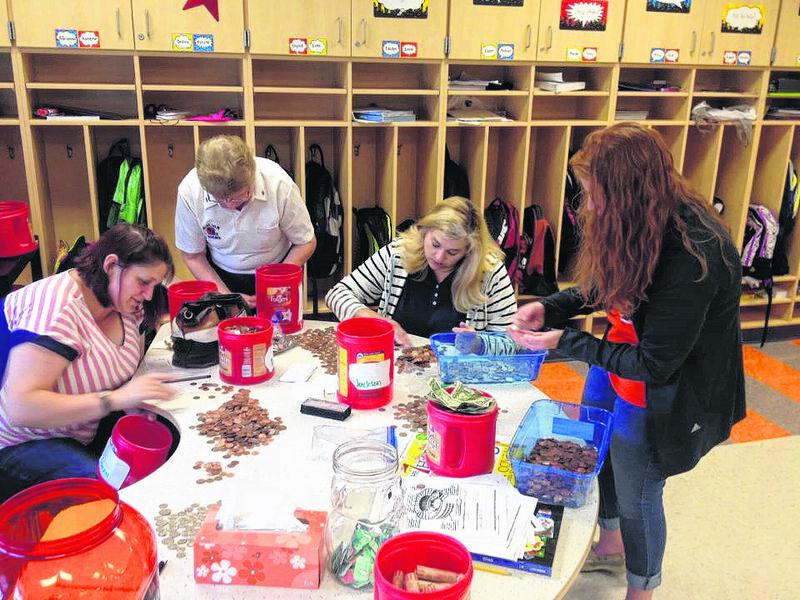 A friendly competition in “Penny War” between third-, fourth- and fifth-grade classes resulted in a donation of $1,048 to the Salvation Army on Monday morning. https://www.galioninquirer.com/wp-content/uploads/sites/38/2017/11/web1_23023840_10212283054929860_506074565_n.jpgNeal Rinehart | Courtesy photo Galion fourth-grade teacher Lisa Fisher had a lot of help recently counting pennies and other coins during a recent contest at Galion Intermediate School. A friendly competition in “Penny War” between third-, fourth- and fifth-grade classes resulted in a donation of $1,048 to the Salvation Army on Monday morning.